when galaxy spin with in? 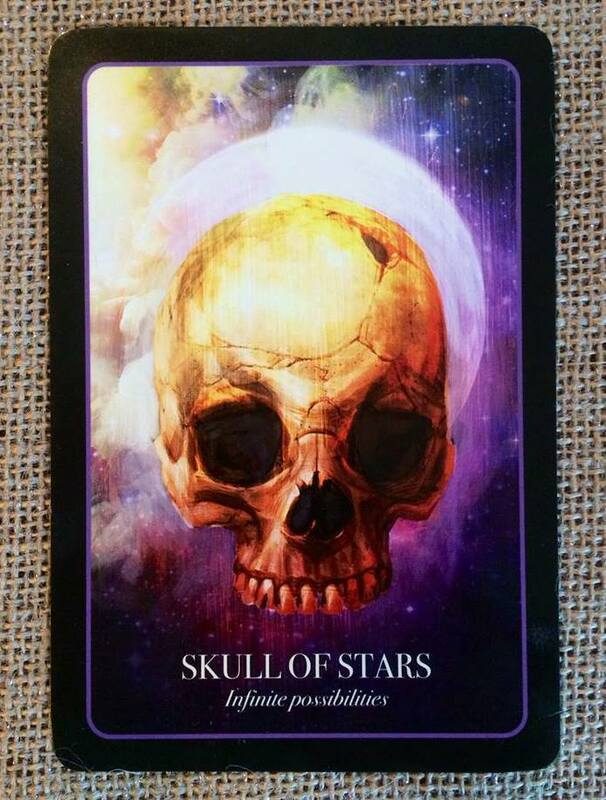 This skull brings us back to the fact that we are all made of the stuff of stars yet many of us think so small! We are each born with a blank canvas to paint upon and we are indeed an open sky of possibilities. It is easy to feel small in a world that is so busy, impersonal and seemingly self-absorbed. We can, at times, feel lost and unclear about our direction and lose sight of our place in the cosmos. The school of stars reminds us that we are only limited by our own imagination and boundaries. If we can dream it, it is possible. This card indicates that you need to think bigger and more broadly about your future and what you would like to achieve. Perhaps there are false beliefs, often old, that no longer serve you as you grow and change. Sometimes these beliefs may not even be yours – they may have been imparted to you by your parents or the wider community, yet feel rather incongruent to you. You need to endeavor, with all your heart and soul, to live the life you want and honor your own wishes and truth.